There is a lot to get into with this subject so I have decided to split things into more and smaller segments so that they are readable. So this first post will just focus on the Commerce Clause. I have noticed in my discussions on this subject that my fears of right wing legal challenge to single payer are most often dismissed by a simple evocation of the Commerce Clause. Unfortunately there is reason to believe that single payer’s constitutionality under the Commerce Clause is not so straightforward given recent decisions and the direction of the courts. The United States, contrary to the fever dreams of the Republican Party, was not founded as a paradise of free market capitalism. While Wealth of Nations by Adam Smith was published in 1776, his philosophy of deregulation and privatization would not be in vogue until the 1840’s for the United Kingdom and the 1890’s for the United States. It is not surprising in this context that the newly birthed imperialist nation gave its government broad powers to regulate the economy. It may seem odd from a present day perspective that a ruling class made up mostly of merchants, plantation owners, and professionals would advocate for strict controls on the markets, but particularly with trade it was a shrewd decision to protect the relatively smaller industry of the fledgling nation from unrestrained competition against the powers of Europe. However, there is reason to believe from the historical record that our first subject, the Commerce Clause, had been created with a somewhat narrow scope strictly adhering to the plain meaning of the text: giving Congress the power “to regulate commerce [emphasis original] with foreign nations, and among the several states, and with the Indian tribes.” U.S. Constitution, Article 1, Sec. 8. The word commerce at the time was generally considered to mean trade, particularly because of both the aforementioned protectionist political philosophy and the context of the clause (“with foreign nations” etc.). Which is not to say that the drafters did not intend for the federal government to regulate the domestic economy and industry – rather that it was not their intent to do so through the Commerce Clause in particular. But the need for a source of authority by which the federal government can regulate the economy and industry quickly arose in a case called Gibbons v. Ogden (1824). Essentially the issue of Gibbons was of two competing economic controls. The state of New York had granted a monopoly of navigation privileges to one company for a section of water and Congress had licensed navigation privileges for another company for an overlapping section of water (there was a lot of interesting drama and backstabbing, as there often is in Supreme Court cases, but I’ll leave it simple for our purposes). From here there were only a few instances of conflict around the Commerce Clause until the New Deal. Franklin Delano Roosevelt’s infamous “court-packing” plan, to increase the number of justices on the Supreme Court so that he would have a majority, was an attempt to stop the Court from striking down New Deal legislation as violating the Commerce Clause for regulating commerce completely within a state rather than “among” more than one state. Your history books probably portrayed FDR’s “court-packing” plan as some attempt at tyranny, but what is often left out is that the Court was not just pro-free market but literally Social Darwinist. But that all ended with the case West Coast Hotel Co. v. Parrish (1937), where a Washington state minimum wage law was upheld. And then when the Commerce Clause itself was again challenged in United States v. Darby Lumber Co. (1941) for regulation of employment conditions in Georgian lumber mills, the Court held that it involved interstate commerce because even if the employment was only in Georgia, the company’s savings from substandard employment allowed it to be more competitive in interstate markets. This broader view of the Commerce Clause continued to be upheld, allowing not only the New Deal but various regulations of the Civil Rights era, until 1995. The end of broader application of the Commerce Clause came with the Court under Rehnquist, as shown in this cartoon contrasting that to his denial of civil rights based on gender and race. While of course any limitation is a loss for those who seek increased regulation, this case does not seem too bad as its main target was legislation that used the Commerce Clause when its primary purpose (e.g. keeping guns out of schools) was not economic. And for awhile it seemed like the chipping away at the Commerce Clause would be fairly limited since the hatred of marijuana got the conservative justices to uphold Commerce Clause power in the case Gonzales v. Raich. 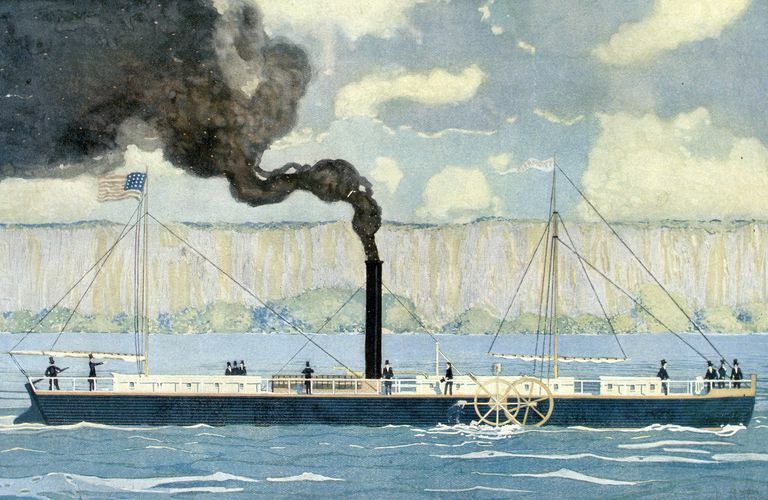 As Ernest A. Young wrote about Commerce Clause arguments being made against the Affordable Care Act: “It is not clear that the ACA has this ‘last straw’ quality that seems to have been so essential in Lopez… very little scope remains for judicial enforcement of the underlying constitutional norms.” The Constitutionality of the Affordable Care Act: Ideas from the Academy: Popular Constitutionalism and the Underenforcement Problem: The Case of the National Healthcare Law, 75 Law & Contemp. Prob. 157, 164-165 (Jan. 2012); and for some quotes that will be very cathartic to law students of law professors miscalculating the Court’s Commerce Clause decision on the ACA, see David A. Hyman, Why Did Law Professors Misunderestimate the Lawsuits Against PPACA?, 2014 U. Ill. L. Rev. 805, 808-810 (2014). But then the Rehnquist Court ended and the attack on regulations by the following Roberts Court made the Rehnquist Court pale in comparison. Which brings us to the case most important to understanding the constitutionality of Medicare For All – National Federation of Independent Businesses v. Sebelius, the case ruling on the constitutionality of the Affordable Care Act. The lesson here is that American politics can always move further to the right. The Sebelius case is one of the most important and most complicated rulings of the Roberts Court, and reliably the mainstream media watered it down to “The Court upheld the constitutionality of the Affordable Care Act!” But the decision by Chief Justice Roberts was a very shrewd one (prior to joining the Court, Roberts was considered by many to be the greatest Supreme Court litigator of our time, so he is not a man to underestimate). For the Affordable Care Act’s individual mandate was only upheld as authorized by Congress’s Taxing Power (which we will get to later). As to the Commerce Clause, the decision’s plurality becomes implicated: the Taxing Power portion (III-C) was joined by Roberts and the four liberal justices, but his assertions about the Commerce Clause (III-A) were not joined by the four liberal justice and the four other conservative justices wrote their own, separate dissent. The conservative justices made essentially the same argument as C.J. Roberts, but since it was for the dissent, this ruling on the Commerce Clause is not considered binding precedent. But how much does that matter? After all this is a predictive project – we want to look at what arguments will be made against single payer legislation. And the fervor with which conservative scholars have supported Roberts’s interpretation of the Commerce Clause (see e.g. Kyle D. Logue, NFIB v. Sebelius and the Individual Mandate: Thoughts on the Tax/Regulation Distinction (Univ. of Mich. Public Law Research Paper No. 498, 2016), http://papers.ssrn.com/sol3/papers.cfm?abstract_id=2741471) makes it worth analyzing. The Constitution grants Congress the power to “regulate Commerce.” Art. I, § 8, cl. 3 (emphasis added). The power to regulate commerce presupposes the existence of commercial activity to be regulated. If the power to “regulate” something included the power to create it, many of the provisions in the Constitution would be superfluous. For example, the Constitution gives Congress the power to “coin Money,” in addition to the power to “regulate the Value thereof.” Id., cl. 5. And it gives Congress the power to “raise and support Armies” and to “provide and maintain a Navy,” in addition to the power to “make Rules for the Government and Regulation of the land and naval Forces.” Id., cls. 12-14. If the power to regulate the Armed Forces or the value of money included the power to bring the subject of the regulation into existence, the specific grant of such powers would have been unnecessary. The language of the Constitution reflects the natural understanding that the power to regulate assumes there is already something to be regulated. The opinion then turns to the aforementioned inactivity argument. But it is not incidental that Roberts’s laid the foundation of the rest of his Commerce Clause argument on the more broad language, not of “activity” vs. “inactivity,” but on “the power to regulate” vs. “the power to create.” And it is not unreasonable to think that a fear of single payer or socialized medicine may have prompted this distinction. For Leftists, we see the Affordable Care Act as an indictment of the failure to compromise privatization with providing services that benefit people rather than profit. But the Right’s saber-rattling against the ACA was not merely chicanery – there was (and still is) a genuine belief that this was the first step towards becoming like a European social democracy. Sure, the judges and legal scholars of the right wing were not expressing these fears in quite as flamboyant terms as the Tea Party, but you can parse out this fear in the use of dogwhistle terms like “redistributive.” Roberts’s himself evokes the most common Cold War image of a socialized economy, the grocery store, in Sebelius (“Under the Government’s theory, Congress could address the diet problem by ordering everyone to buy vegetables”). Do y’all ever wonder how the hell we were surprised by Trump winning the presidency when this happened only a few years before? It does appear that since Sebelius, no federal circuit court has cited to Roberts’s Commerce Clause argument about “the power to regulate” vs. “the power to create.” However, what has notably happened is courts citing to other portions of Roberts’s opinion that the liberal justices did not join in and referring to them expressly as binding. See e.g. PHH Corp. v. Consumer Fin. Prot. Bureau, 839 F.3d 1, 23 fn. 8 (D.C. Cir. 2016); cf. United States v. Henry, 688 F.3d 637, 641 fn. 5 (9th Cir. 2012) (providing contrasting reactions on whether the Commerce Clause opinion is binding). While there is of course no certainty in legal prediction, as those who thought the Commerce Clause would not be attacked in Sebelius found out, I think it is highly likely that a “power to regulate” vs. “power to create” argument returns in a legal challenge to single payer. And given the historical aversion of the United States over the last century to any socialized enterprise, especially at the federal level, there are reasons to suspect it would succeed. After all, the U.S. Post Office is no exception to Roberts’s argument, having also been expressly created by the Constitution like the Army or money. One could perhaps point to the Government Sponsored Entities (GSEs) but they are mostly privatized and even the fairly lax conservatorship of Fannie Mae and Freddie Mac has been hotly contested. A similar argument could be made about a single payer system. A single payer system is not providing the healthcare services at issue – rather, it is serving as an “intermediary” by financing the patient’s care. The problem with this argument however is that it would win single payer only to create a stumbling block to reach socialized medicine. Special thanks to my Patreon subscribers Sarah Jaffe, Winona Ruth, Red_Rosa, John Michie, Jay Schiavone, Daniel Hafner, Aaron Marks, and Eli. You can join this team of supporters for $1+ a month and help me produce more legal analysis from a socialist feminist perspective. Previous PostA Revolution of Care: Exploring the Law of Single PayerNext PostSchool Shootings: The Inevitable Violence Of Child Soldiers In The U.S.